If you have ever had back pain… you are most definitely not alone. Most people in their lives will experience at least one episode of back pain. It might be a single occurrence, the person unable to pin-point the where’s or whys of this mysterious pain. But a lot of the time, back pain is a recurrent, on-going thing with flare-ups, causing increasing amounts of pain and is often very debilitating for the individual. It is very important not to ignore your pain, in the hope that it will go away as it is a certainty that the problem will only get worse. Back pain can occur anywhere, but most commonly hits in the lower back as this is the body’s base, the supporting framework for the entire structure. Men and women are equally affected and it can occur at any age, but increases with age. The first step of understanding low back pain is to look at the structures that make up the back, so we have an understanding of the mechanism of lower back pain. The spine is an intricate structure consisting of bones, muscles, ligaments and other tissues that form the body’s pelvis, trunk and neck. The back houses the spinal cord, which is responsible for relaying messages to and from the brain, such as pain and the movement of muscles. The lower back consists of five bony vertebrae that sit on of top of your pelvis. In between each vertebrae is a disc, which is surrounded by ligaments and muscles for support and posture. All of these structures mentioned above are pain-sensitive, i.e. they can cause pain. When the spine is not in proper alignment, the back muscles, ligaments and spinal joints are all under increased uneven stress, which can cause pain. You might be doing something very simple such as lifting your child, or making an awkward twisting movement; sometimes it can develop for no apparent reason and some people just wake up one day with low back pain. It can leave as quickly as it came on or it can be a recurrent, persistent pain that can come and go and can go from being as a general annoyance to severely debilitating for the person. So what are the main culprits of low back pain? There are lots of different causes of low back pain and with today’s busy stressful lifestyles, it is inevitable that it will impact on our bodies. Stress and pain are often closely linked, each one can have an impact on the other, creating a vicious cycle that can lead to chronic pain and chronic stress. Work can be an occupational hazard. Heavy lifting, repetitive movements and constantly sitting at a desk can all put enormous strain anywhere in your back. Poor posture is a large contributing factor for back pain. Bad posture is generally the cause of a number of issues other than back pain, and correcting your posture will certainly alleviate some of your problems. Poor lifestyle choices can prove painful on your back. People who are overweight can put extra strain and pressure on their joints and discs, especially in the lower back. An important factor of chronic loading of any part of the body is how well the body can recover and heal. Ideally the body heals a little stronger than it started out with. If the body is unable to heal sufficiently, further damage develops. It has been proven in many studies that there is a strong link between smoking and low back pain. Smoking clogs up the arteries that delivers blood rich in oxygen to the lower back. With this in mind, it is acceptable to see how smoking blocks the body’s ability to deliver nutrients to the back. With inadequate nutrition, the tissues of the lower back get damaged, which finally results in back pain. Osteopathy is a holistic treatment approach, with the philosophy that the body has the ability to heal itself given the right environment. Osteopaths use a variety of gentle and effective techniques, which gently manipulates and stimulates the muscles, ligaments and joints of the body. 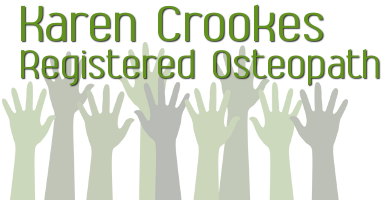 Osteopaths give advice and guidance of a patient’s lifestyle, posture, exercise, diet and emotional well-being, which is essential for on-going health.